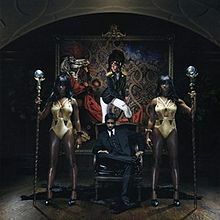 As a big fan of Santigold’s first album (back then, known as Santogold), I was eagerly awaiting this follow-up. Santi has a very unique way of crafting her music. “Unique?”, you may say, “doesn’t she just sound like M.I.A. ?” Well on the surface, yes, this is an easy comparison to make. However, Santi’s second album helps demonstrate her drastic differences between M.I.A., and portrays why she deserves the praise she gets.